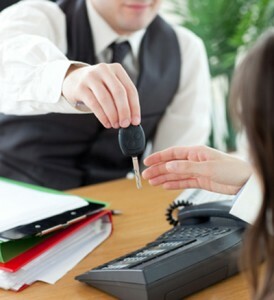 Getting an auto loan can be the least appealing part of the car buying process for many drivers. We understand that frustration, and we don’t want any of our customers to feel that way at our Goshen-area car dealership. That’s why here at Middletown Honda, we have completely streamlined the auto financing process to make it as simple as possible for our customers. Here is how it works. The first step is to fill out a financing application. You can do this anytime, and from anywhere in Goshen, because our application is online. Better still, it is not full of confusing questions that seem a little too personal. We ask you about your employment, your living situation, and a little about your background. You can probably fill the whole thing out in five minutes. When you click that you are done, it is automatically sent to our financing department to undergo processing. Step two is to review your various options for financing. This is the step that most people dread because if you have less than perfect credit, most lenders won’t offer you anything at all. That is not the case at Middletown Honda. If you have spotty credit or even no credit, we are still prepared to make you an offer. We even work with customers that have had a bankruptcy in the past. No matter what your financial situation is, apply for financing, and we’ll be here to help. The last step is to actually sign your loan documents. But it is never a good idea to agree to something until you understand it perfectly. That is why we have financing experts on our staff that will walk you through all the details, explain the fine print, show you exactly what you payments will be, and address any of your concerns. We give you all the information and resources you need to sign with confidence. With all the great vehicles on our lot right now, this is a great time to apply for financing. See what you get offered, and then head to Middletown Honda off of US-6. We are less than 10 minutes from Goshen, and easy to find at 520 Route 211 East in Middletown. If you have been frustrated, insulted, or turned down elsewhere, come to Middletown Honda.